It’s true that Varna is one of the best Sea Resorts on the Black Sea but it’s also a city where you can get so much more than just a beach day. 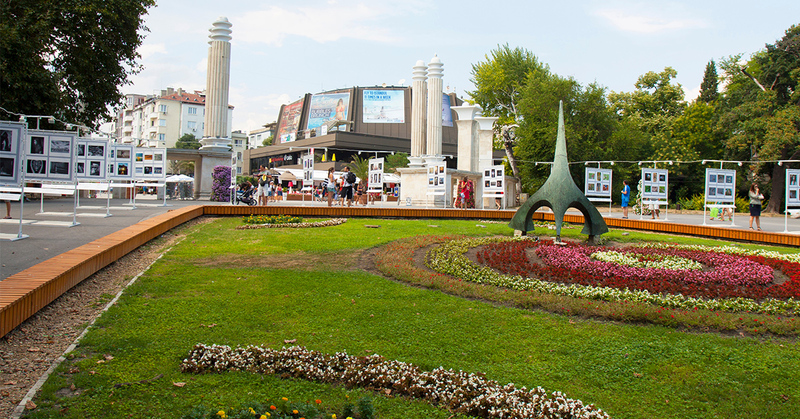 Varna is full of adventure and unique experiences at every corner. 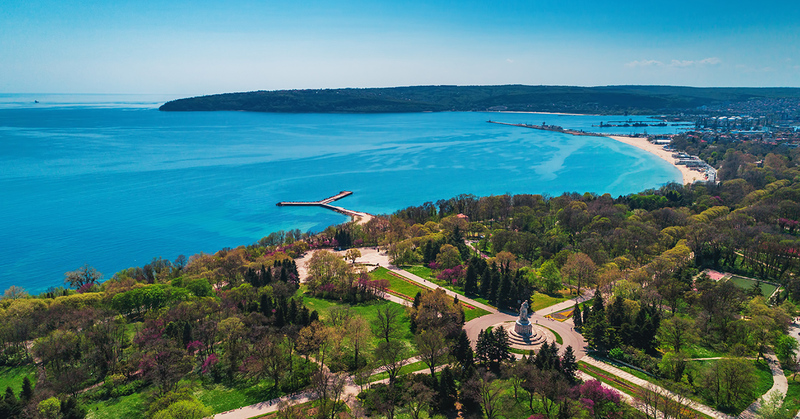 You just need to know where to find them… So here are 10 places to visit if you want to have fun in Varna! Aquapolis Golden Sands is considered the most beautiful entertainment park in Europe due to its unique combination of nature and water attractions. Aquapolis is a spectacular complex where you can easily spend a whole day having fun with your friends and family or just relaxing. 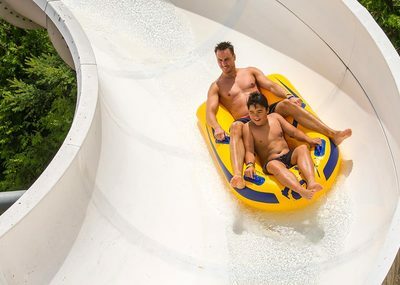 You can enjoy the water attractions, go rock climbing, sunbathe, drink cocktails in the water bar or eat something tasty in the restaurant. 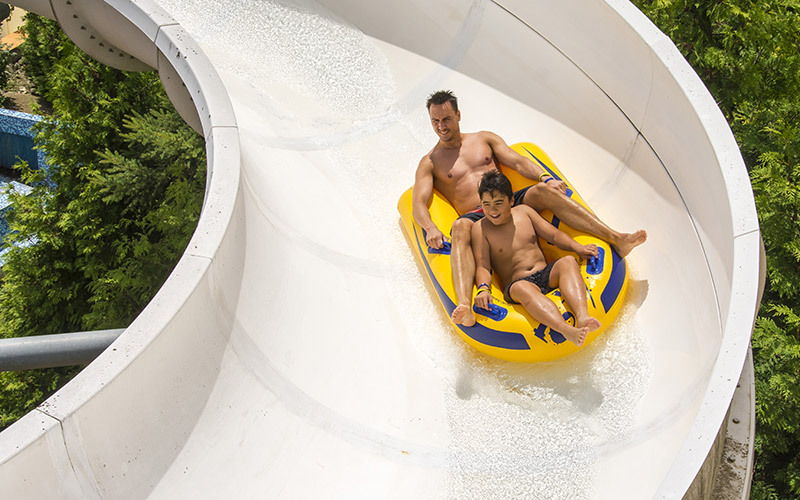 Daredevils will surely try the high speed “Kamikaze” slide (it goes to a maximum speed of 60 km/h). Adults can also go rock climbing with the extreme sports club Adrenaline on 7 different routes. The children’s section is a great attraction for kids. There’s a pool with a large dragon (the slide goes through its mouth and it’s great fun), a turtle, 2 dinosaurs and some smaller slides. So much water fun will surely make you hungry. There are a few choices: the fast food restaurant “Ambrosia”, the restaurant a la carte “Arcadia”, the pool bar “Neptune”, and the snack bar “Alcazar’’. There is an extra charge for lounge, mat and umbrella (5 lv) and parking for your visit (5 lv). Tickets: children – free, teens – 16 lv, adult – 33 lv. You can buy tickets on site. With Varna City Card you get 5 lv off of your visit! 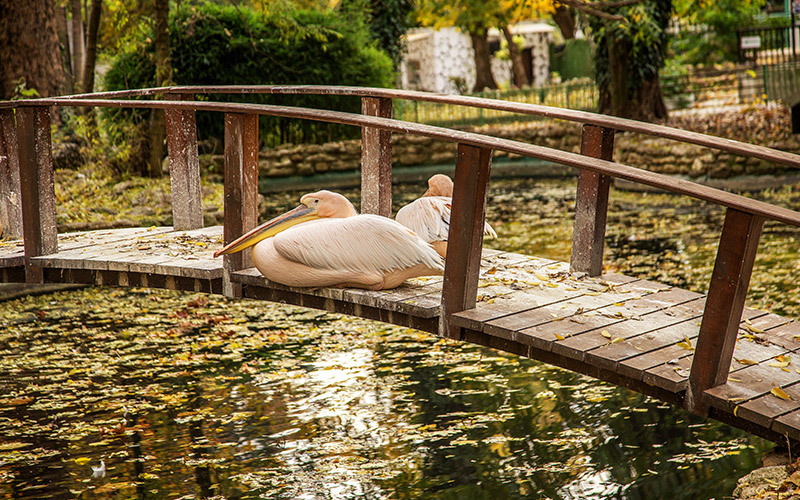 The Zoo is situated in the heart of Varna’s Sea Garden. It makes for a great family day trip for those with children and for all animal lovers. It’s very cheap to enter and there are many animals to see. You can get close up and personal with lions, tigers, bears, camels, wolves, foxes and you can even see red deer, native to Ireland. There is a cafe just outside the zoo and for the price (1.50 – 3 lv entry fee) and enjoyment it gives children, it’s well worth a visit. 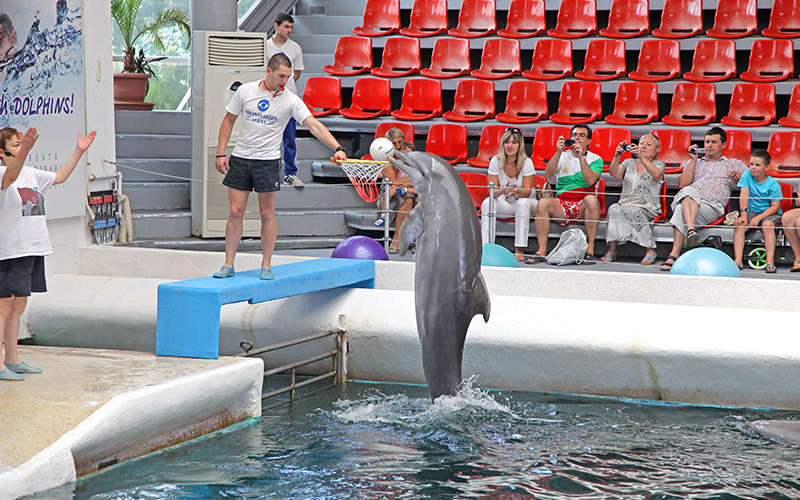 If you’re visiting Varna, the Festa Dolphinarium is a once in a lifetime experience. Dolphin shows take place in a modern complex in the garden, not far from the sea. You can see well-trained dolphins do tricks and throw balls at the crowd. The show is very entertaining and great fun for families with children and for adults alike. Buy tickets online to avoid queues and to get a discount. Ticket cost varies according to the season (15-25 lv). 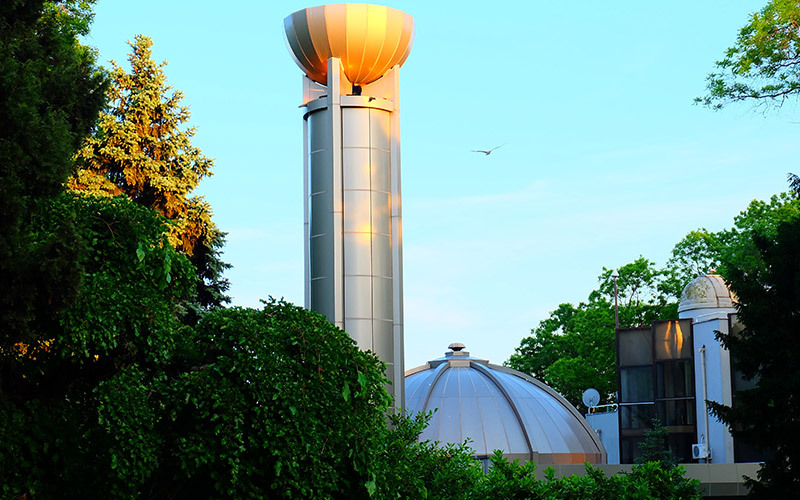 The Planetarium is one of the most impressive sights in Varna. Take a peek at the stars and planets through the telescopes and learn about the mysteries of the universe. The complex is open to tourist groups, students and for lectures and conferences. Tours can be booked with an English speaking guide in advance (+359 52 684 444). Tickets cost 5lv for adults and 3lv for children & pensioners. English speaking groups with a minimum of 15 people cost 10lv each. Tickets can be bought on site. Interesting fact: From ancient times, the Marines used the starry skies as a map for direction when they travelled through the oceans and as a way to get home. 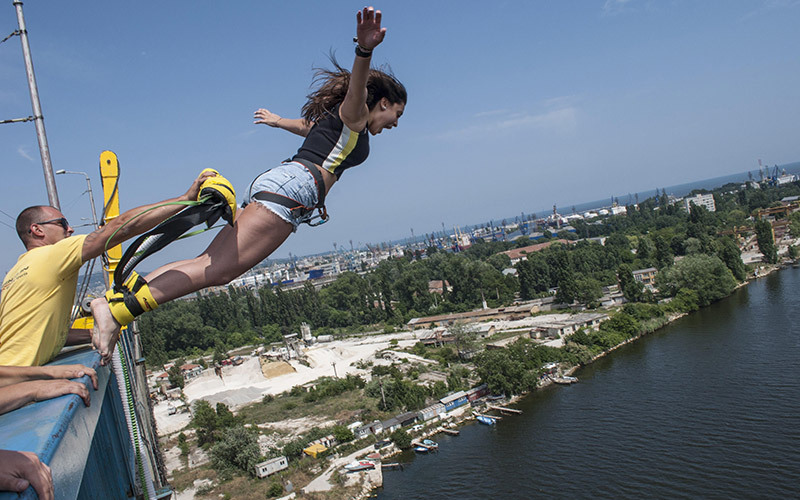 If you’re looking for something crazy fun to do while in Varna, why not try bungee jumping on the Asparuhov bridge? The jumps are organized by the extreme club Adrenalin, who have been doing this for 25 years! The bridge is 52 meters high and 2km long, above a canal. To avoid waiting, book with the club in advance. Give them a call on +359 (0) 52 606 605 / +359 (0) 896 / 856 343 or drop them an email at adrenalin@bungy.bg. With Varna City Card you’ll get 15% off of your jump! With Varna City Card, you’ll get a discount at these locations! 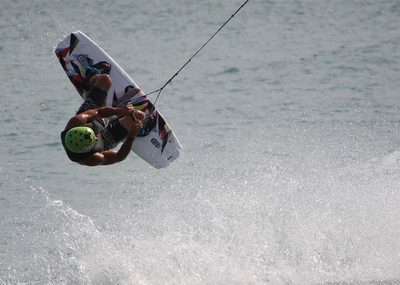 Wake Park Varna is the best wakeboard cable park in the city and a great place to learn how to wakeboard. 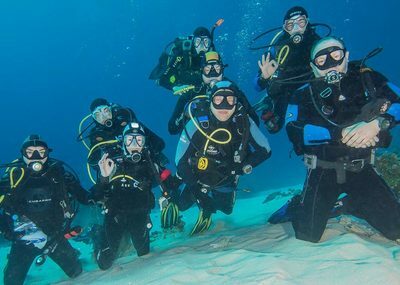 They have all the facilities needed and provide the equipment so all you need to do is enjoy this incredible experience. Best part? You get 25% off with Varna City Card! 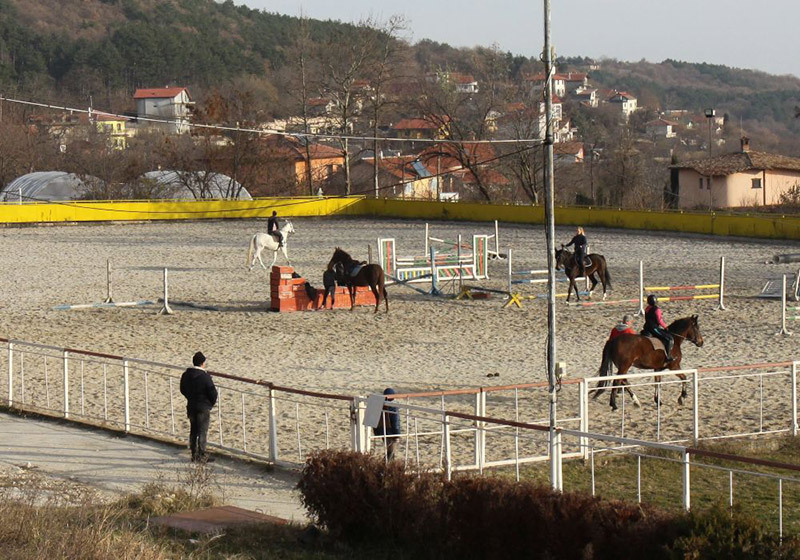 If you’re a lover of horseback riding or want to learn while in Varna, you can visit the Horse Base Vinitsa. There you can train under the guidance and supervision of experienced instructors or you could ride on your own if you’re a pro. The Horse Base often hosts competitions and even offers children’s programmes during spring and summer. The smallest of children can ride on little ponies! Local clubs often train at the base. For more information contact instructor Krasimira Ivanova on +359 88 888 8052. 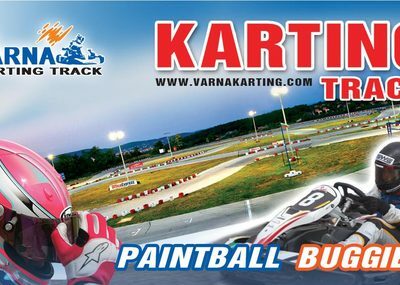 The Karting Race Track in Varna is the perfect destination if you’re looking to have some fun with friends and family. 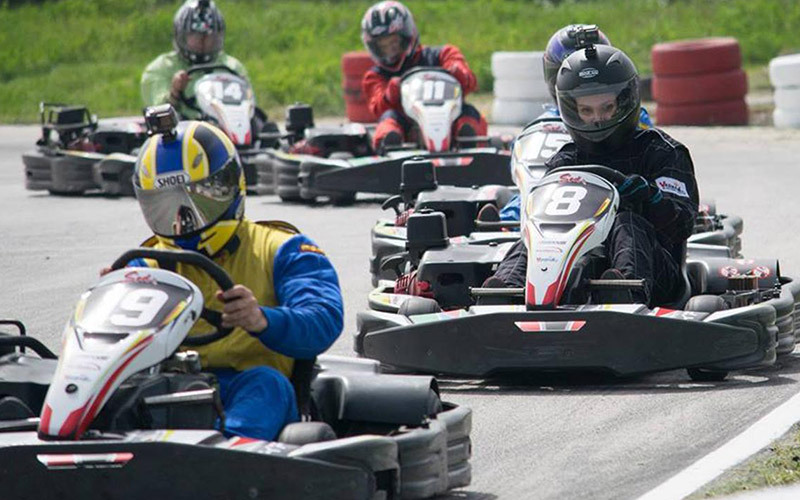 You can rent different types of karts, any time of the day and without reservation. Coolest thing at the track? They have software that lets you record your laps live and then you can watch them and compare to other drivers. Five rounds cost between 18-24 lv, 10 rounds are 28-39 lv (depending on the kart you pick). 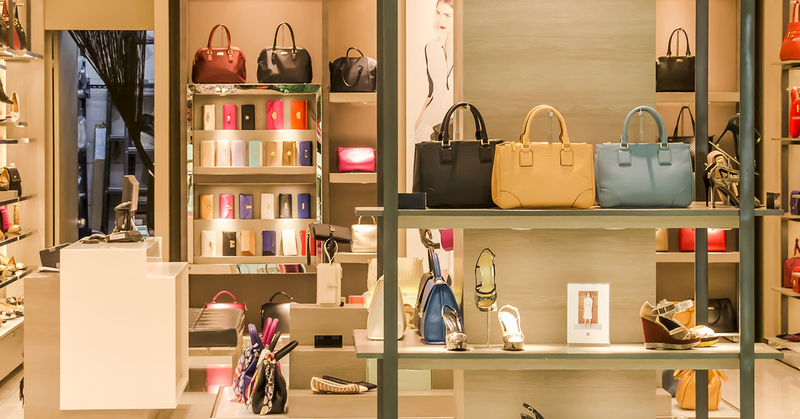 If you want a lower price, it’s best to go before 5 pm on a weekday. 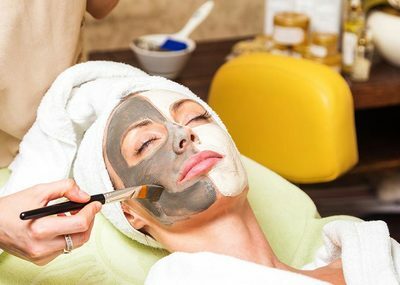 With Varna City Card you get 10% off! Engaging puzzles, sense of adventure and surprises at every step! 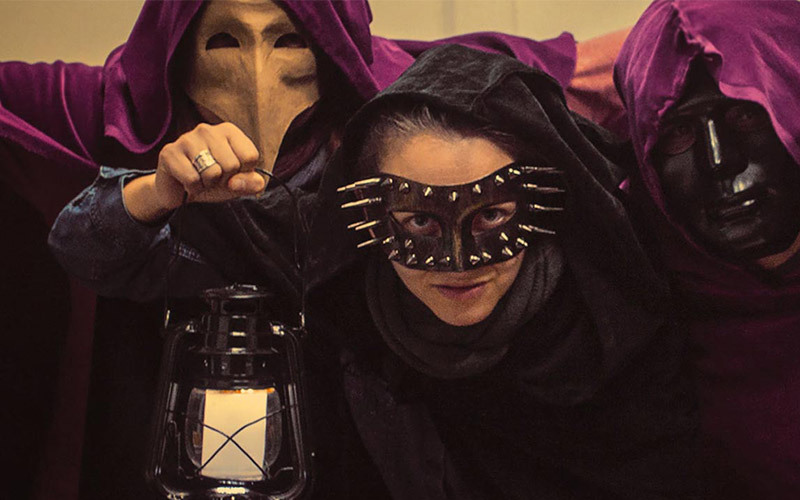 Escape Room Varna has one of the best Escape Room experiences in Europe. The facility has many rooms with lots of puzzles to solve, with different themes each. Start with Dreams of the Colourblind, then Laboratory and afterwards move on to mid-level Room 13. If you’re feeling up to a big challenge, try The Mystery of the Thracians. 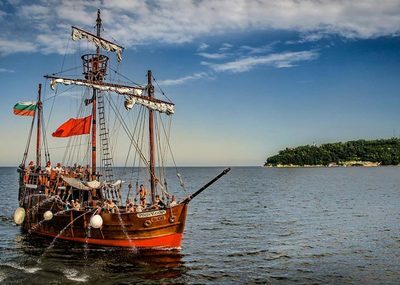 Pinta Varna offers amazing sailing cruises on their stunning ship (summer season only) – from Varna to the northern Bulgarian Black-sea coast. 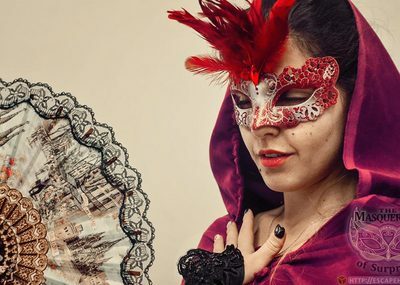 Want to dress up as a pirate and go on a medieval sea adventure? The Pirate Party Marine Battle is guaranteed fun! Join in the search for lost treasures, pirate trials and a sea battle between pirate ships with water cannons! At the end of the cruise, everyone receives a pirate certificate from the Captain of the ship. Prefer the romantic Sunset Cruise? You can go on a stroll in the sea at sunset. With a glass of champagne in hand and the sound of pleasant background music, you can enjoy the lights of the city at night with someone really special. 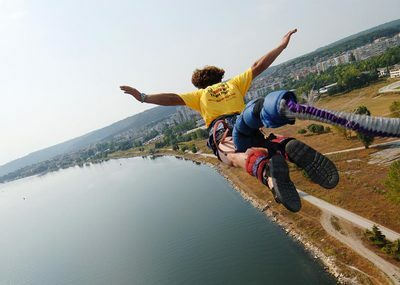 With Varna City Card you will get discounts on these adventures! 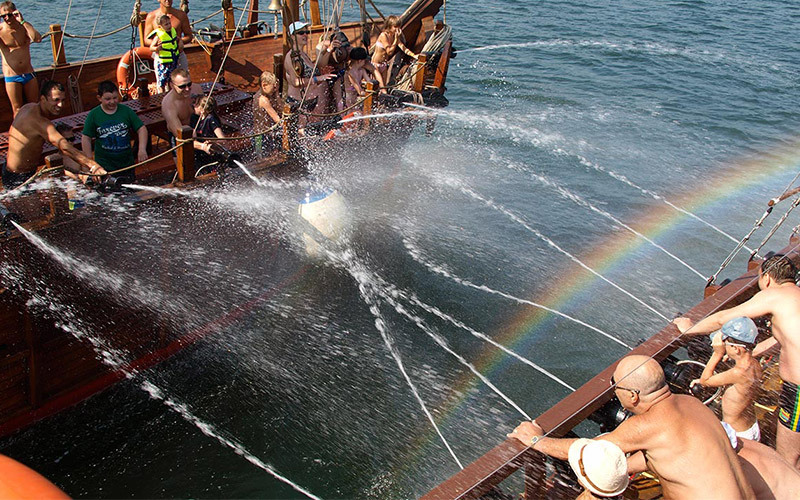 Are you ready to have some good old-fashioned fun while in Varna?